It is with regret that the Club has to report the death of one of its oldest Life Members, Tony Crook, at the age of 93 on 21 January 2014. 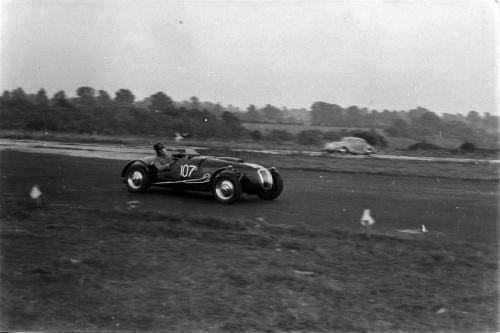 Tony was synonymous with Bristol Cars which he owned and ran for decades, after he retired from motor racing in 1954, but not before he had competed in Grands Prix amongst his 400+ starts in races, sprints and hill climbs in a wide variety of racing machinery. The Club only learnt of Tony’s death after his cremation had taken place on 3 February. Condolences have been sent to his daughter Carol.